Love will give one an inner peace that results in natural beauty and radiating warmth. This was the point of departure for Anne Zellien, who symbolically represents the friendship and love between an item ’s giver and wearer through her collection. Anne achieved this symbolism through original designs such as the Pas-de-Deux rings that consist of two bands inextricably linked, or through personalised engravings. In this manner, every gem becomes a beautiful seal upon a lifelong friendship or a timeless love. 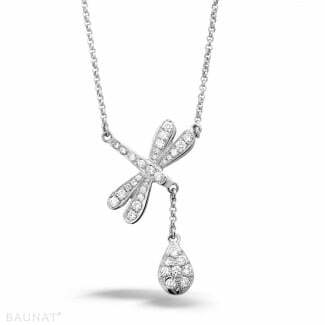 The 'Pas-de-deux' collection is exclusively available on www.baunat.com.